General TV Channel / Turkmenistan is a state-owned Turkmenian television channel founded in 2004. 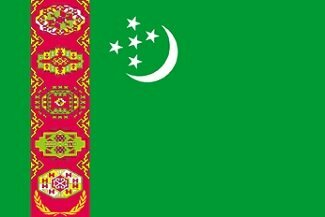 As with other channels of Turkmenistan, it is under the control of the Coordinating Council for Television and Radio Broadcasting of the Cabinet of Ministers of Turkmenistan. The channel was created in order to avail the international community with the achievements of Turkmenistan in the country's historical transformations in all spheres of public life, as well as to further improve the country's information systems. Altyn Asyr has positioned itself as the main TV channel of Turkmenistan. Television is broadcast in seven different languages including Turkmen, Russian, English, French, Chinese, Arabic and Persian. The headquarters is located in Ashgabat. The channel doesn't air Watan Habarlary, unlike the other Turkmen channels. Former Turkmenbashi Saparmurat Niyazov banned playing of video games, listening to car radios, performing opera and ballet, smoking in public, long hair on men, and even growing facial hair. All mass media in Turkmenistan is controlled by the State. Turkmenistan ranks among the most repressive and closed societies in the world.